Open from 12 noon Tue-Sun; closed Mon. 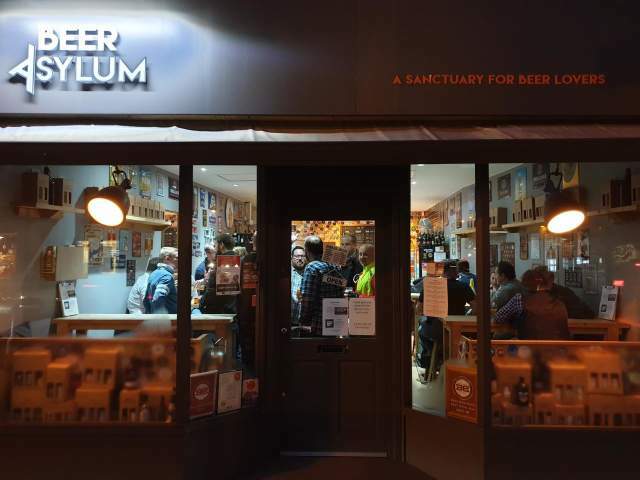 This place is great – a busy, atmospheric specialist bottle shop bar a couple of minutes from Pinner station on the Metropolitan Line. The good transport links (20 minutes from Baker Street) mean that while it’s quite far out if you live south or south west, I’ve actually spent longer getting back from places much closer to home. On arrival, you’ll find it’s well worth the effort – a really good draft list of 5 or 6 beers, and one of the better ranges of c.200 bottles and cans in the fridges. There’s plenty of seating including a handy nook in each window on both sides at the front.